Insurance guide for people with autism, and mental health conditions. "Insurance is likely to be more expensive if you are on the autistic spectrum, and have a mental health condition"
Got a disability? Lets talk about insurance. Whilst an autism diagnosis may not necessarily be a red flag to an insurance company, There is a good chance that you will end up paying more for it than someone without autism..
It’s all about risk based on statistics, it’s nothing personal. They are guided by data that shows with life insurance for example, how likely is it that someone with depression will commit suicide. They will apply an additional cost for the associated risk. Anyone that knows anything about autism will wonder how someone with the condition can be accurately assessed for risk. With travel insurance, a history of aggressive behaviour, and whether the person with autism is travelling alone or with a carer, were the only metrics I could find that were used to assess the risk. ​If you have autism, you are also likely to have co-existing mental health conditions. Autism also brings a slightly greater risk of epilepsy. Declaring any of these conditions when applying for either travel or life insurance, can increase the cost significantly. "Some ﻿people ﻿may be ﻿﻿tempted ﻿﻿to omit these ﻿﻿﻿details ﻿﻿﻿when applying for insurance. This is a really bad idea!" When I applied, (for the hundredth time!) for life insurance, the company told me that each one of my mental health conditions would add another percentage of cost to my monthly premium. I was applying for £50,000 worth of life cover which for a “normal” person, would cost around £27 per month. For me however, they offered me £30,000 for £38 per month! jump off a cliff, and they would have to pay out £50,000 to my next of kin. Travel insurance for people with autism and mental health conditions. 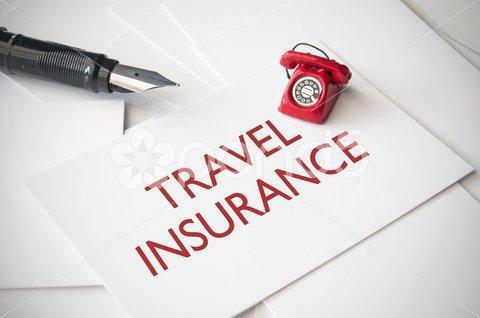 When buying travel insurance, you will definitely be assessed during the application process. When applying online with a comparison site such as moneysupermarket.com, you will be taken through a series of questions and asked to declare any existing medical conditions. Although the answers you give may not always increase the premium you’ll pay, if you declare your autism, the cost of your travel insurance will almost certainly increase. If you add additional diagnosed mental health conditions such as depression, anxiety, OCD or bipolar disorder for example, then the cost is likely to rise for each condition you declare. As you can see, the cost of being honest and declaring you have autism, along with a mental health condition if you have one, can increase the cost of travel insurance from just over £5 for a 9 day trip to France, to over £32. I know that many people with autism also have epilepsy. I did not do a costing for this, but epilepsy is likely to push your insurance premium up even higher. It’s also interesting that the amount of companies offering travel insurance decreased from 51 to 25, when declaring you have autism. This means that many companies are not prepared to offer travel insurance to people with autism at any price. Does the autistic person have a history of aggressive behaviour? Will the autistic person be travelling alone, or with a carer? Not all insurance companies are listed on the comparison websites. You are likely to find better options from a specialist insurance company or broker. You may be tempted to lie, or omit details of existing health conditions. This is not a good idea! Car insurance for people with autism and mental health conditions. Car insurance companies inform me that as long as the DVLA (The vehicle licensing authority in the UK) have assessed your medical conditions and given you permission to drive, people with autism and mental health conditions, usually will not pay more for their car insurance.I have recently been issued with a 3 year medical drivers license. This was after the DVLA medical experts assessed my autism and mental health conditions. They cancelled my full license, and replaced it with one that requires my conditions to be reassessed every 3 years. The cost of my car insurance was not affected by my 3 year medical license. Life insurance ﻿for people with autism and mental health conditions. Life insurance for people with autism and mental health conditions. This is the big one. At the tender age of 57, I still have not been able to purchase life insurance that is affordable and worthwhile. I first attempted, (unsuccessfully) to buy life insurance 15 years ago. At present, there appears to be only a few companies prepared to insure someone with autism, depression, anxiety and obsessive compulsive disorder. I will be doing further research on this, as I still need to purchase life insurance. I will pass on any good deals I come across. Legal and General got back to me a couple of days later. Their initial £19 per month for £50,000 worth of life cover, had risen to around £36 per month for £35,000 worth of cover, payable till the age of 75 years of age. This was the best deal I could get, and I decided to decline the offer. It seems that even if your depression and other mental health conditions are under control, through medication and or talking therapy, the insurance companies are still concerned that you are a suicide risk. It wasn’t clear how they had assessed and costed my autism, but somehow they found a way and added this to the proposed monthly premium. Travel insurance is a cost that some people are tempted to avoid. Don't do it​!. From my recent holiday experiences, travel insurance has been absolutely vital. The consequences of not having it could have ended up costing me thousands of pounds. And don't forget, there are some specialist disability insurers that may give you a better deal than those on the big comparison websites. Life insurance is likely to remain unaffordable for many people with autism and mental health conditions, especially as people in this category often have a lower annual income-42% lower according to a recent survey. This puts your loved ones at a disadvantage as they will not receive the financial benefit on the event of your death. Whilst this feels discriminatory towards people with a disability, to the insurance companies, business is business. In the meantime I shall continue my search for affordable life insurance, to help secure my wife and daughter's financial future. I’m curious about the data insurance companies use to assess the risk of providing insurance (I’m particularly interested in travel insurance). Do you know how and where they get this from and if the results are freely available? In my recent experience, individual differences were not asked (i.e. past history of aggression) so it seemed vary unfair that there was a significantly higher cost to someone who I see as posing less risk to himself or anyone else. Also form some preliminary research i have done it seems that the highest percentage of aggressive incidents (particularly on aeroplanes) was by intoxicated adults (who do not have to indicate ‘drinking alcohol’ as a preexisting ‘condition’. Any futrher info you may have for me to do further research would be greatly appreciated.